Mack MacKenzie is the last of his breed: a singer-songwriter with an author&#39;s depth and a Rock & Roll heart. Montreal’s universally acclaimed singer-songwriter has crossed borders his entire creative Rock’n’Roll life. As a solo artist and the songwriter, vocalist and driving force of Montreal alt-country band Three O’Clock Train, Mack has played over 2000 gigs in every rock club, honky-tonk, theatre and dive across the wide expanse of Canada and the U.S.A.
From the beginning, Mack Mackenzie was writing with the uncommon maturity of an alt-country statesman, like a lover who’s also “ready to fight for what’s right.” Mack has never worn his heritage on his sleeve, or marketed it. “Not Your Indian Boy” was probably the only obvious standout. 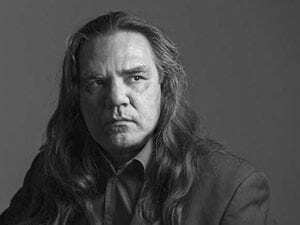 Dealing with not being JUST an ‘Indian’ in some people’s eyes.” However, as part Mi’k Maq, he takes a certain pride in watching the spotlight finally shine on the pioneering and pivotal role played by Native musicians in the history of rock & roll. Three O’Clock Train is just the vehicle. The engine is Mack Mackenzie’s songwriting. MacKenzie’s songs burn, bristle and even soothe with the inspiration and desire of an artist. Stories matter. And their need to be told and sung is at the very heart of human experience – the rock’n’roll experience. And like in whose tradition he walks – the artistic voice of the pen is literally matched and amplified by the actual vocals.